This was written by Phil McRae who is an executive staff officer with the Alberta Teachers` Association. Dr. Phil McRae’s Biography, Research, Writing, Scholarship and Presentations can be found at www.philmcrae.com, and you can follow him on Twitter here. This post first appeared here. 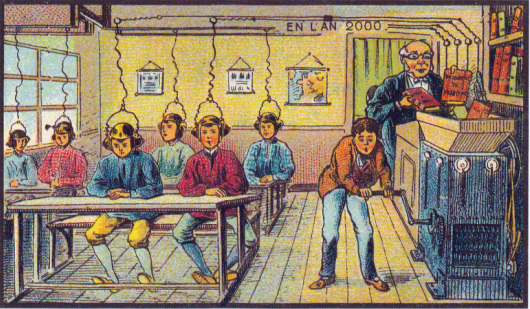 Notions of mechanized teaching machines captured the imagination of many in the late 19th and 20th century. Today, yet again, a new generation of technology platforms promise to deliver “personalized learning” for each and every student. This rebirth of the teaching machine centers on digital software tutors (known as adaptive learning systems) and their grand claims to individualize learning by controlling the pace, place and content for each and every student. This time around, however, it is personal. Personal choice, with centralized control, in an increasingly data driven, standardized and mechanized learning system, has long been a fantasy for many technocrats desperately wanting to (re)shape K-12 teaching and learning with technology. In this alternate reality, class sizes no longer matter and new staffing patterns emerge. The amount of time students spend in schools becomes irrelevant as brick and mortar structures fade away. Yet this fantasy disregards the overwhelming parental desire (and societal expectation) that children will gather together to learn. Technologies have amplified our desires for choice, flexibility and individualization in North America, so it is easy to be seduced by a vision of computers delivering only what we want, when, and how we want it customized. The marketing mantra from media conglomerates to banks is that of 24/7 services at any time, in any place or at any pace. Many governments have in turn adopted this language in an eagerness to reduce costs with business-like customization and streamlined workforce productivity - all with the expectation that a flexible education system will also be more efficient and (cost) effective. The adaptive learning system crusade in schools is organized, growing in power and well-funded by venture capitalists and corporations. Many companies are looking to profit from student (and teacher) data that can be easily collected, stored, processed, customized, analyzed, and then ultimately (re)sold. Children and youth should not be treated like automated teller machines or retail loyalty cards from which companies can extract valuable data. For generations various devices have been patented to mechanically teach students. The first popular attempt was in the 1920s when Sidney Pressey (1926) invented a machine that would run on two modes of operation: ‘teach’ and ‘test’. After reading through material in the teach mode, a student would flick the control to test and proceed to pull down one of four response keys. To give the illusion of progress, the machine would score the response and wondrously record the total number of correct answers. A ‘reward dial’ could also be added so that when a correct number of responses were achieved, a piece of candy would drop into a small dish for the student (think Pavlov’s dog). It was simply a multiple choice test in a mechanical box. Pressey’s machine was born in an age where managerial approaches to controlling and sequencing learning were popular. It was a time of efficiency where the industrial assembly line had introduced innovative technologies, increased competition, and inspired new efforts to (re)organize companies. The industrialist Fredrick Taylor (1911) was especially influential to the teaching machine movement. His concepts of scientific management drew on studies of assembly line workers and proposed new methods for managers to speed up efficiency and productivity through a process of measurement and control. It was an era that privileged behaviourism (i.e., stimulus and response). At this time Edward Thorndike’s (1921) popular book on Principles of Learning stressed that people all learned in the same basic way through individual practice and reinforcement. However, it was not until the 1950s, that psychologist B. F. Skinner (1954a) made the bold claim that the dawn of the machine age of education had finally arrived. With his particular brand of teaching machines and programmed learning he vowed that, “students could learn twice as much in the same time and with the same effort as in a standard classroom” (Oppenheimer, 1997). Skinner would go on to say that his machine had an important advantage over past attempts because a student was “free to move at his own pace [and]…only moves on when he has completely mastered all the preceding material…to a final stage in which he is competent.” (Skinner, 1954b). For Skinner, learning was about measurability, uniformity, and control of the student. This view of learning dismissed the larger social, cultural and emotional contexts in which knowledge is created. The next big lurch forward came from the artificial intelligence movement of the 1970s. This era reinforced behaviourist notions while introducing research in the unfolding field of computer science. This gave rise to Computer-Assisted Instruction (CAI) projects like PLATO (Programmed Logic for Automated Teaching Operations). CAI treated students like patients who once diagnosed through computer testing and task analysis could be prescribed individual remediation by the software. But, the software development costs for CAI were high, and computers (both personal and school-based) were rare and expensive. 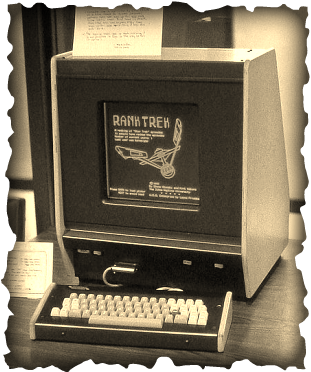 Ultimately, the artificial intelligence of the computers was never really that intelligent. Once again the teaching machines receded into the storage room. PLATO (Programmed Logic for Automated Teaching Operations). In 2013, Dreambox Learning Inc., a technology company out of the United States, claims that their proprietary intelligent adaptive learning (IAL) system, has the “effectiveness comparable to human tutoring [and] accelerates math teaching and learning” (Dreambox Learning Inc., 2013). The company’s contracted research white paper unflinchingly states, “the level of sophistication of today’s IAL systems is far superior to similar technologies of the past” (Lemke, 2013, p. 13). This particular brand of teaching machine individualizes learning by adjusting “path and pace to stay within the child’s zone of optimized learning to accelerate understanding and critical thinking” (Dreambox Learning Inc., 2013). It is as if we are caught in an ever renewing cycle of promises, or as Yogi Berra once observed, “It’s déjà vu all over again” (Berra, 2004). Adaptive learning systems still promote the notion of the isolated individual, in front of a technology platform, being delivered concrete and sequential content for mastery. However, the re-branding is that of personalization (individual), flexible and customized (technology platform) delivering 21st century competencies (content). At its most innocent, it is a renewed attempt at bringing back behaviourism and operant conditioning to make learning more efficient. At its most sinister, it establishes children as measurable commodities to be cataloged and capitalized upon by corporations. It is a movement that could be the last tsunami that systematically privatizes public education systems. So why is this movement so seductive? First, it is seen as opening up possibilities for greater access to data that can be used to hyper-individualize learning and in turn diagnose the challenges facing entire school systems. Second, the modern teaching machines, and the growing reach and power of technologies, promises to (re)shape students into powerful knowledge workers of the 21st Century. For publishers and educational technology companies, the adaptive learning systems are a means to ‘atomize’ students (and their data) away from the shelter and protection of public education systems. It allows them to create long-term ‘personal’ relationships with students, so they can market their products over the student’s lifetime. As the McGraw-Hill General Manager in charge of digital products states: "collecting data, having a student profile that goes from kindergarten through professional [life] is where we want to invest" (Olster, 2013) . It also prevents materials from being shared or transferred over time by students as the materials are all digitized and copyright protected. It allows for direct marketing of products and services at any time, place or pace to students or their families. For teachers, adaptive learning systems are sold as providing easy ways to bump test scores for each and every student, while generating detailed individual student reports through the software’s surveillance structures. Companies market their algorithms as not only teaching better, but also freeing up teachers’ time and relieving their burdens in a world of test-based accountability. Just as Pressey (1926) stated almost a century ago, the machine will “make her [teacher] free for those inspirational and thought-stimulating activities which are, presumably, the real function of the teacher” (p. 374). For parents, this is an extension of the growth in the tutoring movement. It is estimated that one third of Alberta parents now pay for private tutors (Alberta Teachers’ Association, 2011). As the Canadian Council on Learning (2007) found in their national survey, “most parents who hire tutors (73%) estimate that their children's overall academic performance is in the A or B range”. This is a global obsession, and in 2010 74% of all South Korean students were engaged in some form of private after-school instruction, at an average cost of $2,600 per student for the year (Ripley, 2011). Adaptive learning systems are seductive to a North America society reeling from economic volatility and decline. It is a time where the middle class is rapidly shrinking. Parents are obsessively enrolling their children in after-school programs or tutoring with a fanatic devotion to giving their offspring a competitive edge over the pack. Hyper-parents are investing more time, money and energy in their offspring than in previous generations, and adaptive learning systems may be seen as one more tool on the treadmill to Harvard. As Carl Honore (2008) says, “It is not just kids who are under pressure now; it’s parents too. We feel we have to push, polish and protect our offspring with superhuman zeal - or else we’re somehow falling down on the job. We start from the noble and natural instinct to do the best for our kids but end up going too far. Social and cultural pressure drives a lot of this”. This has resulted in some dramatic consequences for childhood. Since the late 1970s, children have lost 12 hours per week of free time, including a 25% decrease in play and a 50% decrease in unstructured outdoor activities. (Juster et al., 2004). Parents are working longer hours and families are spending less time with their children (Parkland Institute, 2012). The adaptive learning algorithm, wondrously sold as virtual tutor, could also become a convenient digital baby rattle. For students frustrated with working in a group setting, or having to negotiate the diversity of a public school setting, the teaching machine provides relief. The new teaching machine becomes the panacea for students who are struggling academically or irritated by the pace of learning in schools. Yet, as Hargreaves and Shirley (2009) suggest: “Customized learning is pleasurable and instantly gratifying. Nevertheless it...ultimately becomes just one more process of business-driven training delivered to satisfy individual consumer tastes and desires” (p. 84). There are no quick fixes to learning and teaching. Excellence in life, and with all complex activities, takes time and patience. This time is what Malcom Gladwell (2008) calls the ten thousand hour rule, where “researchers have settled on what they believe is the magic number for true expertise: ten thousand hours” (p. 40). Although seductive, data analytics and algorithms of the software that magically determine the pacing, path, or content for the learner, do not reinforce this type of dedication for true expertise. Educational technology companies and publishers are rushing to colonize the Big Data and personalized learning revolution. In the United States the trajectory of education is one of increased standardization, centralization and adaptive learning systems. Far too seldom are the conversations about fostering creativity, the arts, talent diversity, or interpersonal communicative competencies for children and youth. Big data and personalized learning is the next tsunami. In this first quarter of the 21st Century people have become deeply (inter)connected with machines. These connections have blurred the boundaries between our online and offline behaviours. The location data from our cellphones, information from credit card purchases, retail loyalty card transactions, medical records, household energy consumption or even the dynamics of our online social media connections can now be tracked and traced. Essentially we are leaving digital breadcrumbs around our increasingly connected lives. Data about our existence is consequently growing at an exponential rate, driven by an astounding 2.5 quintillion bytes of data created every single day (IBM, 2013). As our personal data grows, so does the desire to have it harvested for patterns. With the ability to track social connections and economic habits down to the individual level, micro-patterns emerge. People (and their data) become “atomized”, behaviours are tracked in real-time, and then compared with millions of other individuals. With more powerful computing technologies large data sets may even hold the power of prediction (think Amazon book recommendations, but for personal health). This is known as the ‘Big Data’ phenomenon. Big Data is about finding the seemingly hidden connections within a population or even from our own (learning) behaviours. Companies, and some governments, are beginning to see these big data insights as holding the potential to provide new products, redesign systems and personalize services. As data gathering increases across society, and we crank out even more information about our behaviours, companies look to one of the last frontiers to privatize: student and teacher data. With access to big data on student populations, companies would have limitless opportunities to increase profits and growth. However in public systems, with democratic governance, it is difficult to get access to the intimate data on students and teachers. Public school jurisdictions often frustrate businesses as they try to sell (and hyper-personalize) their products to students, parents and teachers. This may all change with inBloom Inc., a $100 million dollar K-12 education data-sharing initiative launched in 2013 by the Bill & Melinda Gates Foundation and the Carnegie Corporation of New York. This massive database contains personal student information that will allow sharing of the data with 21 for-profit companies. As reported in Reuters, the inBloom Inc. database "holds files on millions of children identified by name, address and sometimes social security number. Learning disabilities are documented, test scores recorded, attendance noted. In some cases, the database tracks student hobbies, career goals, attitudes toward school - even homework completion. Local education officials retain legal control over their students' information. But federal law allows them to share files in their portion of the database with private companies selling educational products and services” (Simons, 2013a). The stated mission of inBloom Inc. is to "inform and involve each student and teacher with data and tools designed to personalize learning" (inBloom, 2013). It is currently populating the database with student information for free, but will begin charging states or school jurisdictions annual fees of $2 to $5 per student by the year 2015 (Simons, 2013b). Two concerns arise from this particular Big Data development in K-12 education. The first is that Amplify Education Inc., a for-profit division of Rupert Murdoch’s News Corp., built the database infrastructure for inBloom Inc.. Murdoch is well known with the ongoing personal wiretapping and hacking scandal of one of his companies, and he has openly articulated his interests in profiting off K-12 education: “When it comes to K through 12 education we see a $500 billion sector in the U.S. alone that is waiting desperately to be transformed by big breakthroughs...[News Corp.] is at the forefront of individualized, technology-based learning that is poised to revolutionize public education for a new generation of students” (Murdoch, 2010). Second, parents in New York were not made aware that their children’s personal information could be shared with for-profit private technology companies without their consent. And as with the state of data security in our times, inBloom Inc. “cannot guarantee the security of the information stored … or that the information will not be intercepted when it is being transmitted” (Simons, 2013a). The Electronic Privacy Information Center has subsequently filed a lawsuit against the U.S. Department of Education charging it with violating student privacy rights and undermining parental consent (Strauss, 2013a). While in Louisiana, John White, the State Superintendent of Education, announced that he would be recalling all confidential student data from inBloom Inc. (Leader, 2013). Three other states, Kentucky, Georgia and Delaware, were initially listed as partners on the inBloom website, but have now stated they do not intend to participate in this activity, and Georgia has specifically asked for its name to be removed from the partner list (Simons, 2013b). Issues of privacy, data access, and who actually owns student and teacher data will grow enormously in the next few months. There can be value in having big data analyzed to discover new patterns, but not at the expense of removing privacy protections for students in a public education system. The professional work of teaching and learning has used data and evidence to improve educational decision making for years. Even ‘big data’ and its power can be used to help redesign a public system, as long as teachers, principals, parents and/or students give clear consent to its various ethical uses to improve student learning. Data is key to empowering and generating educational growth and insight for teachers. In fact data and evidence generated through teacher action research was a hallmark of the internationally recognized Alberta Initiative for School Improvement (AISI) for over a decade. Ironically we have more data on student assessments, and fewer opportunities for deep conversations between parents and teachers. The right data, meaningfully and thoughtfully used, could enhance individual and collective teacher efficacy. The same data could also be used by system leaders for narrow accountability regimes and punitive action. In the United States, mandates created under the “Race to the Top” initiatives, and programs promoted by the Gates Foundation, have led to more data attempting to measure teacher effectiveness than ever before. As a society we have become obsessed with data quantity, but in many ways have fallen short on the quality of our human interactions. Personalized learning is neither a pedagogic theory nor a coherent set of teaching approaches; it is an idea struggling for an identity (McRae, 2010). A description of personalization of learning tightly linked to technology-mediated individualization ‘anywhere, anytime’ is premised on old ideas from the assembly line era. It is a model that is being advanced by the rapidly growing private corporations, virtual schools and charter school in the United States. Personalizing learning, as an act of differentiating learning in a highly relational environment, is not new to the profession of teaching. Legions of teachers enter classrooms to engage diverse minds across multiple activities and to support each student as he or she inquires into problems. These same teachers, who hold a keen awareness of each of their student’s particular learning styles and passions, are also simultaneously contending with issues of poverty, lack of parental involvement (or conversely helicopter parents), large classes, familial and community influences, student effort and numerous digital and popular culture distractions that add to complexity of their professional practice. Personalizing learning can be a progressive stance to education reform, and is in line with many new forms of assessment, differentiated learning and instruction, and redesigning high schools beyond age cohorts and classes. More flexible approaches to education are undeniably necessary, and findings ways to personalize learning will be important if students are to adequately develop the skills and knowledge that will help them creatively navigate an uncertain future. However, personalized learning defined as an isolated child in front of a computer screen for hours on end is folly. To enable this all to happen in an education system, several policies must be enshrined by governments and school districts that allow publishers or educational technology companies direct access to students. The first is to open up multiple pathways of learning, which are more flexible in terms of time and space, and designed around technology solutions that only the company can deliver. On the surface this flexibility sounds promising, as teachers and school leaders certainly recognize that the industrial model of command and control does not fit with our hyper-connected world. Unfortunately, the flexibility of anytime, any pace learning is manifesting itself in the United States around adaptive learning software programs or mandatory online learning courses that are being delivered by private companies. The notion of creating new staffing patterns has evolved in the United States to redefine and expand the role of ‘teacher’. The new staffing patterns with this model have shown to reduce the teaching force to a 1 to 150 pupil teacher ratio with the monitoring of students in computer labs, tutoring and marking supported by non-certificated staff with titles like ‘Coaches’, ‘Facilitators’ or ‘Individual Learning Specialists’. In the case of K12 Inc., the United States largest provider of online education for grades K-12, it is reported that student teacher ratios are as high as 1 teacher to 275 students (Aaronson and O’Connor, 2012). As the President and CEO at McGraw-Hill Education affirms: "With this new method and capability [adaptive learning systems], all of a sudden you could see a teacher handling many more students...the productivity could double or triple" (Olster, 2013). The Software & Information Industry Association, the principal trade association for the software and digital content industries in America, is a clear backer of redefining and expanding the role of the teacher, and advocates that “teacher contracts and other regulatory constraints may also need to be addressed to provide the flexibility in a teacher’s role needed to make this dramatic shift in instruction” (Wolf, 2010, p. 15). Public schools must be the guardians of students' personal data. Teachers, as the guardians of children, cannot collect ‘big data’ without parental consent and then allow it to be passed on to companies looking for a new marketplace in public education. With adaptive learning systems companies can market directly to the individual student or parents, without the obstructions (or guidance) of a robust public education system. The data analytics crusade in schools, and issues of who owns and controls the ‘big data’ of children and youth, must be highly contested. Adaptive learning systems can divert teacher and student attention to only the ‘basics’ of math and reading. In some cases even privileging just one curricular area. As DreamBox Learning Inc. forcefully states in direct emails to parents: “Research has shown that mastery of early math skills is the single best predictor of future academic success - more important even than early reading!” (McRae, personal communication, January 28, 2013). Research out of the learning science makes it clear that learning is successful when it is socially constructed, and occurs in an active and inquiry-oriented process that engages people in social, emotional, cultural and deeply intrapersonal experiences. This research will likely hold true whether our future learning environments are enacted face to face, online or in blended learning online/offline contexts as this carbon and silicon line begins to blur. It also holds true regardless of whether one is considered digitally literate or whether one is a member of the New Millennial Generation (Gen M). There is much good in providing opportunities for students to have more personalized experiences with learning, but the world does not adapt to people, we must adapt to the world. To adapt, and be able to bounce back from adversity, which is a central part of the human condition, we must build resilience in our children and youth. Zolli and Healy (2012) define resilience as “the capacity of a system, enterprise, or a person to maintain its core purpose and integrity in the face of dramatically changed circumstances,” and see resilience as “preserving adaptive capacity (p. 8)—the ability to adapt to changed circumstances while fulfilling one’s core purpose, which is an essential skill in an age of unforeseeable disruption and volatility” (p.9). Resilience not only encourages adaptability, but it also strengthens 21st Century collaborative skills, connectivity and an appreciation of diversity in the world around us. Resilience is not shaped through teaching machines, but it is through highly relational learning environments. It will be especially important in global world defined by increased volatility, ambiguity, uncertainty and complexity. We are entering a digital age of mobility where students can access the information they want at any time, place or pace through a variety of devices. This will have a profound effect on critical thinking as individuals are increasingly fed only the exact type of information (specific political views, topical book themes, local environmental conditions) and sources (individual blogs, twitter feeds, facebook updates, or websites) to which they digitally subscribe. In many ways, hyper-personalized (customized) digital spaces have the potential to limit students to only the content that they want to see, hear and read about. A condition can then arise in online communities where participants find their own opinions constantly echoed back to them (i.e., echo-chamber effect), thus reinforcing a certain sense of truth that resonates with their individual belief systems (McRae, 2006). This then challenges a call for a diversity of talents, and positions free will and personal choice as taking on new (and obscured) meanings in digital echo chambers. In considering personalization and technology, we need to be thoughtful about the role of critical thinking, diversity and chance (serendipity). These are all important for learning and will have long-term implications for society. To what extent do we want children and youth spending even more time immersed in adaptive learning software programs during the school day? A growing body of research indicates children between the ages of 8 to 18 already spend an average of 7.5 hours a day in front of screens (e.g., television, computers, video-games and phones) (Kaiser Family Foundation, 2010). To gather even more data through adaptive learning systems, children will need to spend time allowing the machine to monitor their every interaction. John Danner, former C.E.O. of Rocketship Charter Schools and a member of the Board of Directors of DreamBox Learning Inc., envisions even more screen time during the day for children: “As the quality of software improves, Danner thinks “Rocketeers” could spend as much as 50 percent of the school day with computers” Strauss (2013b). Those who work with children, families, schools and communities are asking serious questions about the effects of online digital activities on health and mental well-being. We should be particularly concerned with late-night screen time, especially if children are spending hours in front of the screen with the virutal computer tutor at home. A growing body of new research indicates that nocturnal screentime decreases sleep quality and quantity thus negatively affecting children’s readiness to learn (Howard-Jones, 2012; Rich, 2012). How many hours of the developing minds and bodies of children and youth are we willing to sacrifice for more individualized computer-human interactions under the guise of data analytics? There are no simple computerized solutions to the complex and diverse challenges of poverty and inequity, or lack of parental engagement (conversely hyper-parenting) facing schools. In an effort to continually improve educational practices and create great schools for all students, what might be a better path to the seduction of adaptive learning systems? We can establish conditions of professional practice where high quality teachers and principals, with a sense of efficacy, can differentiate instruction and advance new forms of assessment for learning with/without technology. Teachers could be engaged in a conversation, earlier rather than later, around how they might use data (big or small) to enhance student learning. Technologies could be employed to help students become empowered citizens rather than passive consumers. Innovations are needed in education that will help to create a society where people can flourish within culturally rich, informed, democratic, digitally connected and diverse communities. We should not descend into a culture of individualism through technology, where people are fragmented by a continuous partial attention. The education of our next generations should not be about machines but, rather, a community of learners whose physical, intellectual and social well-being is held sacred. This point of view is driven by the human desire to connect, maintain friendships, tell stories, share thoughts and inquire into the nature of the world. It is a perspective that naturally flows together with the research on learning that suggests that education is not just about content or physical place but also a collective and highly relational set of experiences within a community of learners. Emerging technologies and smart data certainly have a place in educational transformation, but they must be employed to enhance what research in the learning sciences continues to reinforce as the foundation of learning: the pedagogical relationships between students, teachers, parents and community. Attempts to displace this human dimension of learning with the teaching machine (whatever you imagine this to be) is a distraction to the most important support great schools can offer students each and every day – relationships, relationships, relationships. Dewey, J. (1938). Experience and education. New York, NY: MacMillan Publishing Company. Eisner, E. (1994). The Educational Imagination: On the Design and Evaluation of School Programs, Third Edition, New York, NY: Macmillan Publishing Company. Gladwell M. (2008). Outliers: The story of success. New York, NY: Little, Brown & Company. Hargreaves, A. & Shirley, D. (2009). The Fourth Way: The Inspiring Future for Educational Change. Thousand Oaks, CA: Corwin Press. Kaiser Family Foundation (2010). Generation M2: Media in the lives of 8–18 year olds. Menlo Park, CA: Henry J. Kaiser Family Foundation. McRae, P. (2006). Echoing voices - emerging challenges for educational practice on the internet. In T. Reeves & S. Yamashita (Eds. ), Proceedings of World Conference on E-Learning in Corporate, Government, Healthcare, and Higher Education 2006 (pp. 2622-2629). Chesapeake, VA: American Association for the Advancement of Computing in Education (AACE). Oppenheimer, T. (1997). The computer delusion. Atlantic Monthly 280 (01): 45–62. Pressey, S. L. (1926). A simple apparatus which gives tests and scores-and teaches. School and Society, 23(586):373–376. Zolli, A. & Healy, A. M. (2012). Resilience: Why things bounce back. New York, NY: Freepress. An edited version of this article will appear in the next edition of the ATA Magazine (Summer 2013). Elements of this piece will also form part of a larger ATA research initiative on data analytics and adaptive learning systems. Comments, questions, considerations, or perspectives are always welcome.